Juventus striker Cristiano Ronaldo is intent on leading his new club to the Champions League trophy, hoping to add to his personal haul of 5 winner’s medals. The Portuguese superstar won his first European Cup in 2008 with Manchester United, before adding four more titles to his collection with Real Madrid, three of which were won consecutively over the last few years. Ronaldo is widely considered to be one of the best players in the world and his goalscoring record over the last decade or more is a testament to that. He left the Santiago Bernabeu this summer as the clubs all-time record goalscorer and has managed to hit the back of the next over 550 times over the course of his entire professional career. The 33-year-old has taken on a new challenge this year by moving to Serie A with the reigning Italian champions and according to The Daily Mirror, he is hellbent on winning a fourth Champions League crown on the bounce with his new club. As per The Mirror, Ronaldo spoke to the media after his unveiling as a DAZN ambassador on Wednesday, stating: “I want to win the Champions League with Juventus. Happy to announce I’m now a global brand ambassador for DAZN! 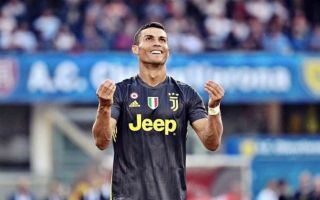 As the 5-time Balon d’Or winner approaches the latter stages of his career his insatiable desire for success doesn’t seem to be slowing down and with Juventus already having reached the final of Europe’s top competition twice over the last five years without him, few would bet against them going all the way with him this season.